I was once set up on a date with the most beautiful girl I had ever seen. I saw her while waiting for the bus, and I knew that I had to take a chance and just ask her out or regret it for the rest of my life. However, I did not know that what I was told was the “best hair wax for men,” would really turn out to totally ruin the night. Pay attention because this generic Walmart hair wax which they claimed as the best hair wax for men would cost me the most beautiful girl in the entire world. This is a matter of life or death. Okay, so maybe not life or death, but pretty important none the less. So, right before I was going out to meet her for a drink, I took a tiny bit of wax into my palms to give my hair a bit of lift. Much to my dismay, my hair instantly became a solid, sticky mass of wet, globby hair. Not cool. When I realized my mistake, I quickly tried to wash it out, but my efforts just made it worse. Instead, I had water and wax dripping down my forehead with strands of hair sticking out at awkward angles. I tried to salvage the mess by slicking it back, but I showed up late to the date, and clearly made an idiot of myself. 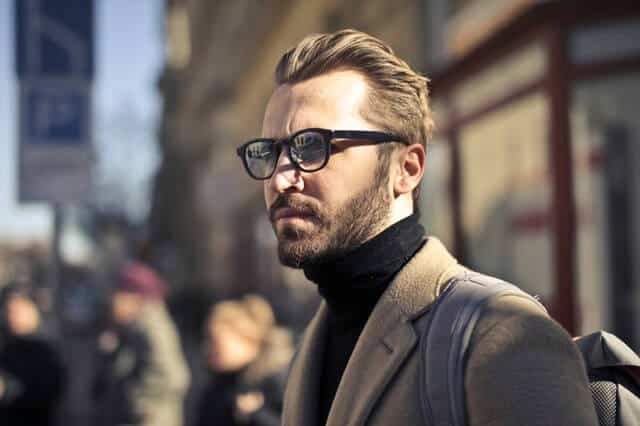 Brief, don’t make the same mistake, and choose these trusted and best hair wax for men from Amazon that I’ve tried and tested myself like Gatsby hair wax, a true classic, or American Crew, a long-time favorite. Then, we’ll talk a bit about hair wax vs. gel and any hair wax side effects you should be aware of. First off, you have to forget what you thought you know about hair wax for men in general since they are much higher quality than they used to be. Gone are the days when they were like glues that could keep your hair in place during a hurricane and would never wash out. These days waxes are formulated to go on easy, wash out easy and not look like you put an entire bottle of glue on your head. Why use a wax over a gel, pomade or other hair styling product? A wax can be the better choice of hair product if you are looking for something that gives a natural look while still giving a lot of hold. 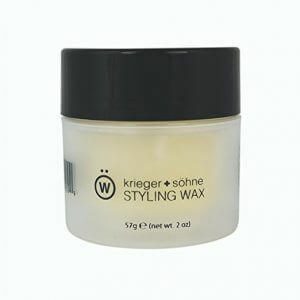 Like with any other hair styling product these are the three factors that you are looking for in a wax. Normally, a wax is either medium or strong hold. You can find lightweight versions, but they won’t give you a low hold even though you can restyle throughout the day. Shine can be either matte finish, low shine or high shine. Generally, guys are looking for matte waxes since they typically go for a pomade for high hold with high shine. In my opinion, you can also go for a wax for a high shine wet look since they perform differently than a pomade. You may get high hold from a pomade but they can go on a bit greasy and a wax can generally hold its shape better. This is kind of a half dozen of one and six of the other type of scenario as they are kind of interchangeable depending on the brand. The scent is generally not high on the list of considerations for a wax as opposed to other hair products. I’m not sure why that is but you may find the choices of fragrances lacking when ti comes to waxes. As I mentioned, it is easy to find the best hair wax for men that wash out easily now. A water based wax is soluble and can sometimes even be rinsed out with just water. If you prefer to not shampoo your hair every day, which I recommend, then you may want to get a water based one that won’t leave any residue in your hair between shampoos. The wax used is kind of important. It creates a seal around the follicle of the hair to coat them individually. Beeswax works great for this since it is not only a natural alternative to petroleum based ingredients, but it also contains Vitamin A which helps keep your hair hydrated. You can have your hair wax do double duty while it keeps your hair styled by making sure it contains moisturizers. Look for shea butter, aloe vera, argan oil and jojoba oil as ingredients. Even though the wax will generally go on dry and not give your hair any shine, the natural shine of your hair will come through when it is properly moisturized. 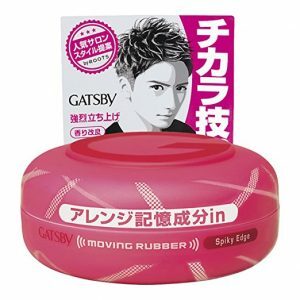 It seems like everyone I know is talking about this Japanese Gatsby Moving Rubber Spiky Edge Hair Wax , so I had to try this one first. If you are Asian, with stiff straight hair, then this is probably the best you can get for the hold you need. Which makes sense as it is manufactured in Japan. This is the strongest hair wax for men in Gatsby’s Moving Rubber series, and it’s meant for creating updos with short hair (less than 1 inch). It never felt greasy, but it does feel a bit waxy. That being said, it was strong enough that I could restyle my hair after lunch, for instance but still left my hair touchably soft. It’s not as shiny as the purple one, which also has a fairly strong hold. Instead, this pink one gives more of a matte finish but is far stronger than the green version, which is really just for defining. This is really perfect if you’re going for an anime or spiky mohawk type style, but you don’t need to use too much. A tiny bit on your fingers should be more than enough to hold your hair in place regardless of your hairstyle (i.e. curly, wavy, straight, etc.). If you use too much, you might start to notice white streaks in your hair. I did need to add a little bit more in the late afternoon when I wanted to restyle it, but it was also a fairly humid day. Best of all, this smells absolutely amazing. It’s a green apple flavor, so at first, I was a bit nervous. After all, I don’t particularly want to smell like a lollipop. I couldn’t have been more wrong though. I got so many compliments from my co-workers and friends, and my wife couldn’t keep her hands off of me. Plus, it lasted all day until I went to sleep, and the hair wax was easy to wash out. Of course, I didn’t have to use all that much because my hair is pretty short, but even still I think it was relatively easy compared to other experiences I’ve had. 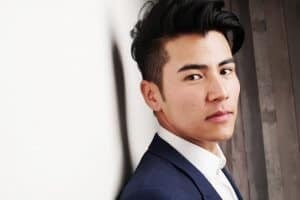 To give your hair some texture besides just keeping it in place, a wax is probably the best product you can use and well, make sure to opt for the best hair wax for men that’s proven and tested. This particular one is effective because it can separate the strands of hair from each other. Then, when you put your hair into place in the style you like, you’ll be able to achieve the volume you’re looking for. Another benefit to using this best men’s hair wax is that when you do get your hair styled the way you like and you’re satisfied with the texture, it won’t actually look like you’re using any hair product at all. A little goes a long way if you are looking for a soft hold that can be restyled throughout the day. This is best when you have thin or fine hair. If your hair is a bit longer, or your style is a bit complex and it needs something extra, then add more to get a firmer hold. 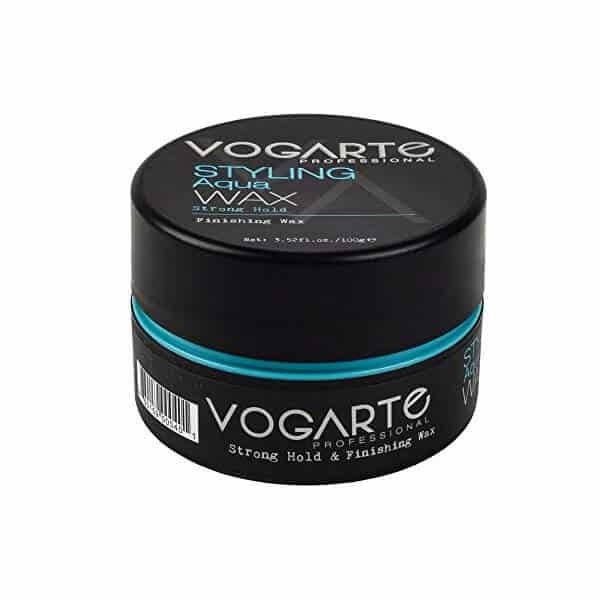 As a texturizing wax, it works exceptionally well when you are looking to do a blow dried style that requires something strong enough, yet soft enough to be able to manipulate your hair. If you have curly hair and aren’t necessarily looking for any texture then this is a very good choice. It will keep your curls managed and in place for whatever style you are looking for. Wet or dry, it is easy to apply since it is soft enough to scoop out with your fingers. It washes out very easily. So easily, in fact, that you don’t even need to use shampoo. It will rinse out with just water unless you used a ton of it. The scent is a fresh, bright fragrance that is hard to pin down. It is sort of citrusy, but very light and without any one type of citrus standing out above any other. Unlike some other waxes or pastes, it goes on without clumping. You will still need to rub it in your palms to loosen it up to make sure it all goes on evenly, but those nasty looking clumps that are hard to get rid of won’t happen. Though it isn’t a natural hair wax, it does have some good natural ingredients and it doesn’t contain any parabens or petrolatum. 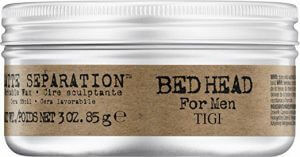 TIGI Bed Head B for Men Matte Separation Workable Wax is the perfect budget hair wax for men. It’s far higher quality than the brands you’ll find at the drugstore like Old Spice and Axe, but they won’t cause you to rethink your budget. It is a pliable wax, so application is easy and it applies evenly to all of your hair. Though it is a bit soft, it won’t end up wilting if you live in a humid or hot area. This is ideal for all hair types. If you have short hair that requires a bit of texture, it will do that and keep it styled all day. For longer hair, use a bit more and the high hold will let you do any type of look you’re going for. Perfect for the comb over or the slicked back style. If you apply it dry, it will go on with no shine. Of course, if you want to go for the wet look, then just apply it while your hair is wet. You won’t get a super hold, but more of a medium one that will let you style your hair just right without needing to take too long to get it where you want. Washing it out is easy, you won’t be left with sticky hair that just can’t get clean. You will need to shampoo it to get it out, but it won’t take multiple rinses. The scent is neutral and very light. The fragrance dissipates quickly, however. The only real downside to using this wax is that it contains petrolatum. I tend to advise people to stay away from that ingredient, especially if you have sensitive skin. It can clog pores and cause other problems. But, when you are talking about a cheap product that actually works as it is supposed to, then you really can’t avoid it. I still recommend this best hair wax for men, but it is worth mentioning. 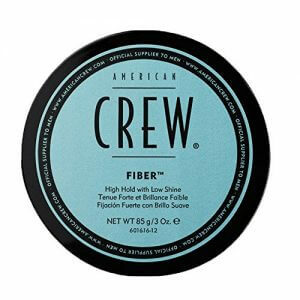 American Crew Fiber has a strong hold, matte finish, and low gloss, so it won’t ever leave your hair looking greasy or shiny. I found it was pretty difficult to scrape the wax out of the jar at first, and then to smooth out the wax in my hair so that it wouldn’t leave bumps. However, it started working perfectly when I switched to applying with wet hair. That said, it is hard to call this a wax. I had to include it to the list, though, because so many people ask about it when asking what a good matte hair wax is. Also it does contain beeswax as a primary ingredient so it does qualify. What’s great about this hair wax for men is that it provides very high hold and superb texture. All with no shine at all. If you want a slight shine, apply it while your hair is wet, but even then it won’t be high shine. Getting it onto your palms and ready to spread into your hair can be a pain. It tends to clump and is kind of hard to smooth it out. Once you rub it in your palms and it is clump free, it is ready to be rubbed through your hair. Your strands will be coated individually to provide texture and allow you to really manipulate your hair into whatever style you like. Advertised for any type of hair, I think it works to a point. For thin or fine hair, a little dab will definitely do the trick without weighing it down. For black hair or thick, curly hair, a little more will get the job done. Where it falls short is on longer hair styles. Especially since it will be harder to apply it than a softer wax. Also, it is not ideal as a hair product to wear while working out as it will soften as you sweat. And, it may actually start to run depending on how much you applied. I like the smell as it is low key and slightly citrusy. It’s just a solid hair wax that does the job and doesn’t break the bank either. 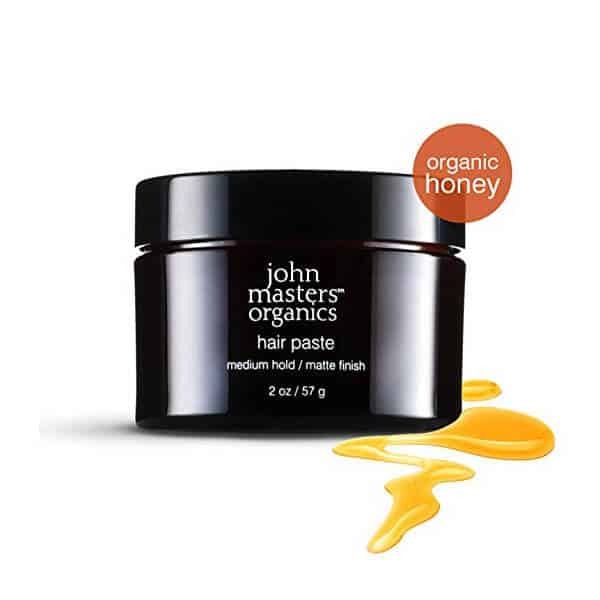 This organic hair wax for men is called a paste by John Masters since it contains a bit of bentonite clay. But, since it has beeswax in it and functions very much like a wax hair product, I included it on the list. 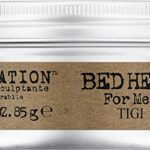 The addition of the bentonite clay makes it the best hair wax for oily hair, since the clay will absorb the excess oils in the hair and scalp. While the beeswax gives you the hold you expect from a hair wax, the other natural ingredients will nourish and strengthen your hair. Shea butter and will hydrate your hair, keeping the moisture inside the follicle while the clay and tapioca starch absorb the oils. Aloe vera will condition your hair leaving it fuller and increase the volume. There is no shine, but if you want a little bit then you can apply this while your hair is wet. Application goes on easily as the paste is soft. You can scoop out a small dab and run it around in your palms to soften it further. Your hairstyle will benefit from the lightness of the paste while getting a nice texture. As long as you don’t need to high a hold,since it is more medium than strong. For scent, there is some bergamot oil for a citrusy, bright fragrance with the addition of frankincense oil for a bit of earthiness. It can be either manly or feminine depending on who is wearing it. The next generation of hair waxes are lightweight, go on easy and are easy to wash out. This water soluble one from Vogarte is no exception. When you need very high, strong hold with some nice shine, then you should try this over a pomade. It isn’t sticky, greasy or crunchy when it styles your hair. Since it is water based, it can be restyled throughout the day by reactivating it with just a little bit of water in your hands. Even if it is humid out, your style will stay where you want it. Some water based hair products can end up absorbing the moisture in the air, but the wax in this creates a barrier in your hair to keep it styled. For pompadours or quiffs, I think this works even better than any shiny pomade out there as far as hold, durability and shine. It is strong even when using just a little bit so it does work on shorter hair cuts. It might not be ideal for long hair depending on just how long we’re talking. Curl, thick or black hair will all benefit from this wax. And it washes out easily since it is water soluble. Depending on how much you use you could even rinse it out with just warm water. The scent is very classic and sort of retro. This best men’s hair wax has a fresh, aftershave type of fragrance similar to vetiver or aqua. Hair wax for men is usually oil-based, has medium hold, and leaves a matte finish. While you can apply it wet, most men love wax because it can be applied quickly to dry hair when you’re dashing out the door. Plus, you can usually restyle your hair later on in the day if you’ve only used wax. Most high-end coiffed models use wax to create the kind of volume and movement you see in magazines. Pomade, is similar to wax insofar as the hold, but it looks shinier and is usually water-based. Lastly, gel, which is also water-based, has a very strong hold and shine. It goes on wet hair and dries very stiffly. So I’ve told you exactly what I did to find what I believe is the very best hair wax with all different kinds of men’s hair. The best hair wax for thick hair, the best hair wax for thin hair…you’ll find it all here. It took me several weeks to really test out what I thought were the best contenders on the market. Now, I want to hear from you though. My loyal readers. I personally read every single one of your comments, and I always take the time to respond to questions and concerns. Or you could tell me what kind of hairstyle you’re going for next. In any case, after extensive testing, these were my top four, and why I liked them. Let me know what you think, and if you loved this post, click to share this post with all of your friends on Facebook, Twitter, or Pinterest so we can expand our community.